In our first full year with our solar awning, we generated 5,816 kWh of solar energy, which is 16% more than we expected. I’m not sure if that is a normal fluctuation in the amount of sunny days we had this year or a trend towards higher production from the bi-facial panels. I certainly hope it is the later. 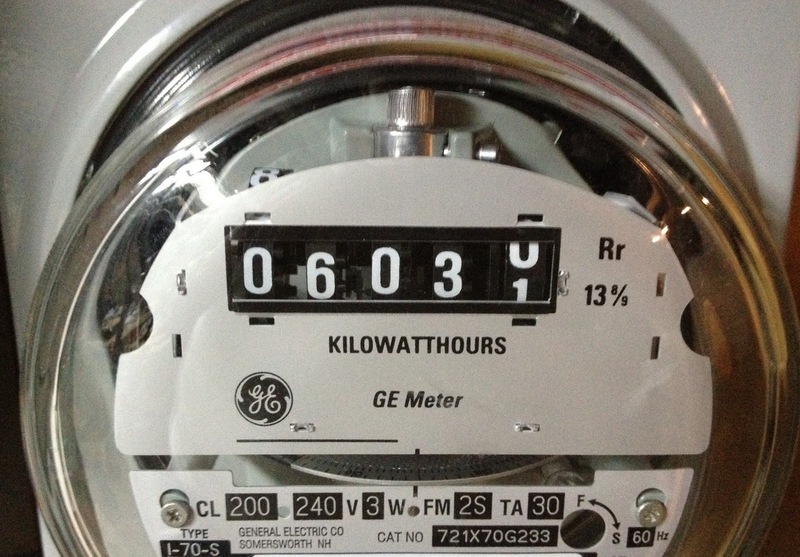 Our total electricity usage for 2011 was 6,958 kWh, so we produced over 83% of our own clean energy. If we can get our usage even lower, maybe we can produce (in net) all of our electricity with our solar PV awning. I bet you are wondering how much we saved this year in electricity. At 15.5 cents/kWh (our current residential electricity rate) the 5,816 kWh saved us $900 on our annual electric bill. This year we only paid $234 compared to $1,100 last year for electricity. In addition to those savings, we also earned five Solar Renewable Energy Credits (SRECs), which sold for over $500 each for a total additional tax free income of $2,500. The SREC market in Massachusetts continues to be strong unlike the New Jersey SREC market, which crashed last year. Another less tangible value we realized this year was the increased value of our home. We recently refinanced our home and the added value of $12,000 for our 4.7 kW solar PV system made the difference between being in the 80% LTV (loan to value) range and the 90% LTV. Therefore we qualified for a lower interest rate. The $12,000 value the appraiser assigned is less than I think it should be valued by the two methods I’ve found in my research of $20 dollars value per dollar of annual energy savings or about 50% of the installed cost. By the 20:1 method, with the $900 savings mentioned above, that would work out to $18,000 value add. Half our installation cost would be more than that. Unfortunately, there is not enough data in the market and the appraisers do not have standards by which to evaluate solar installations, so our solar awning was valued lower. I actually had to argue for an increase in the appraised value as it was originally only valued at $2,000. As more and more people add solar to their homes, I hope there appraised value area will become more standardized. Here is the charts of our 2011 electricity production and consumption from SunBug Solar. There are some discrepancies in the totals showing because the data collection had some holes. The numbers above are correct and taken from actual reads electricity meters. Have you considered going for solar? What is stopping you? Leave a comment below. The price of the panels and installation is a pretty good “stopper” for me. We looked into it and can’t make it make sense no matter how we do the numbers! Have you considered leasing solar? In many states, companies like SunRun or Sungevity will install solar panels on your home and sell you the electricity at a price lower than you pay the utility company. We had a good friend in Medford install solar on his home through SunRun and he’s been very happy. We are doing even better in 2012 for producing most of our electricity from solar. As of today, we are at 99.8% solar power year-to-date. 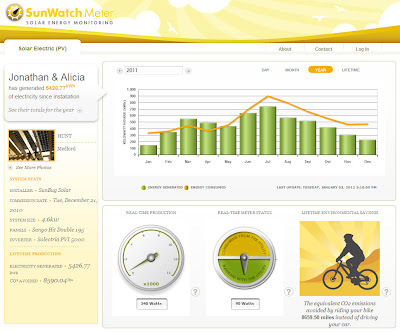 Our net electricity usage for 2012 so far is only 12.5 kWh, which is less than a typical day’s consumption. I can’t wait to run the numbers when the year is over and follow up with Going for Solar: The Second Year. Great article! Thank you for sharing your obviously very positive experience with solar power! I know a lot of people who are considering the transition and who will find your post very inspiring – particularly as you into detail on everything from money saved, to tax /energy credits and improved property value!